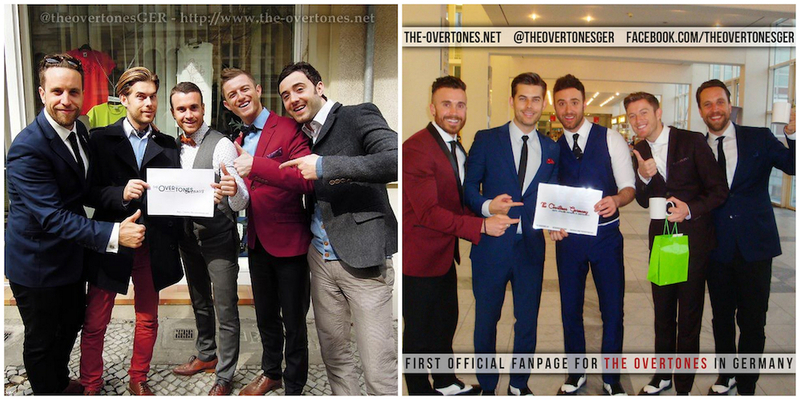 We had the chance to ask The Overtones boys some questions as part of our 4 year website anniversary celebration. They were more than happy to tell us about their upcoming guest appearances at the Thats’s Entertainment Show, album no 6th and lots more. 1. What can the audience of the That’s Entertainment Show expect from your guest appearance? 2. Will being part of a Variety Show over a long period of time and also taking part of an Overseas cruise this summer, leave you with enough time to write and record new material for your 6th album? (LACHIE) Hahahaha! I like the way you’ve worded that to find out about the 6th album (I’m on to you!!). It’s going to be a busy summer and we have some really great fun gigs coming up but there is also good amounts of time to be able to record and curate another album as well as write our originals. 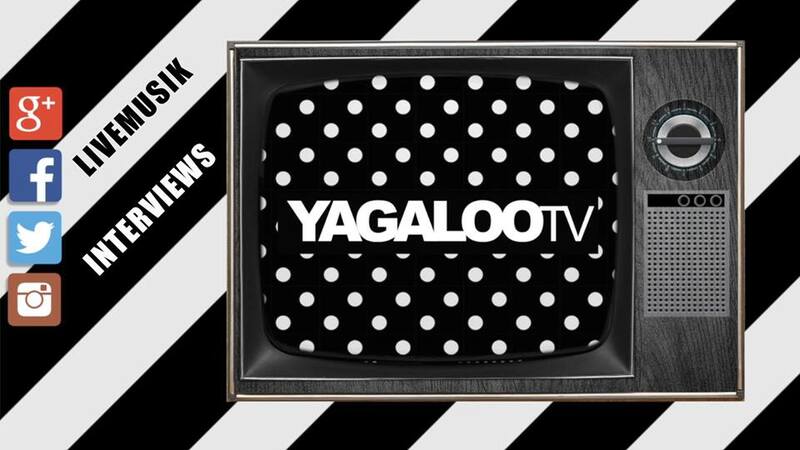 We’re in discussions about this at the moment, obviously we can’t (sadly) give you an exclusive on this, but we will, naturally, let you know as soon as we know ourselves. 3. Is there a special song you would like to cover on your next album? If so, does this song have a special meaning to you? (LACHIE) there are lots of songs we would live to cover. After 5 albums, we have sung so many of the classics that are near and dear to our fans hearts, but there are certain songs up our sleeves that we have been looking forward to recording for some years, and we are looking forward to the opportunity to get them down in the studio. 4. Any chance for more acapella performances, since that was a big hit during the Sweet Soul Music tour? (LACHIE) Short answer, yes. Longs answer, yes. 5. Where would you like to see yourself within the next 5 years as an artist? What are your long-term career plans? 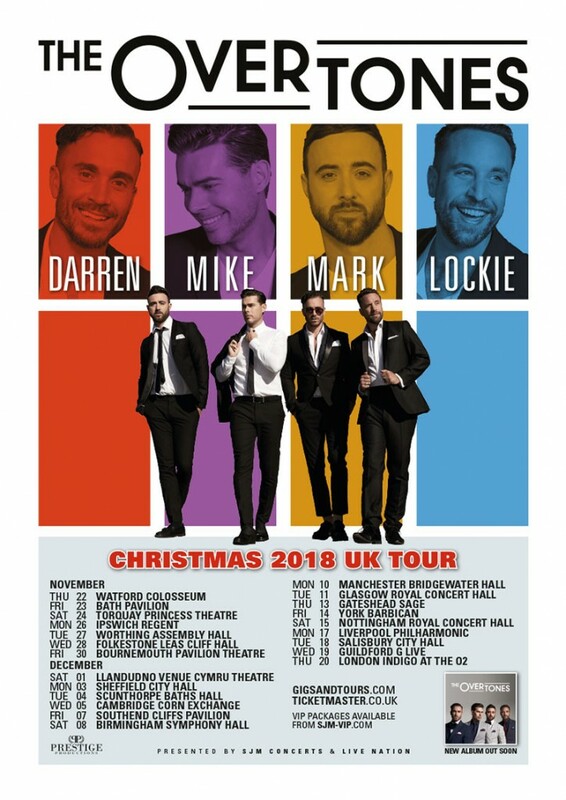 Do you have any plans to do anything besides performing with The Overtones? Acting, modelling, choreography etc. (TIMMY) life has been pretty good to us boys so far so we will go with the wind and enjoy whatever comes next as a group and as individuals . 6. Thinking back to the very beginning of the band, how do you feel about your performance today and is it much different for you now than when you first started performing? (LACHIE) that’s a good question, I’ve been thinking about that lately myself. I remember at the start of our career and during album one how there was an added pressure to everything we did because we were trying so hard to prove ourselves and there is a stress that comes with that. 5 albums, 6 or so tours and 1000000 album sales later there is a really nice feeling of relaxation around the work we have done, which for me personally, means we can go on stage and enjoy ourselves, our music, our relationship and connection with fans and have as a good a time as everyone in the audience. It’s a really good feeling. (MIKE) Great question. When we were first signed to Warner Brothers there was certainly a pressure, albeit welcome pressure, to perform to an extremely high standard. After all for us it was our dream but for WB it was a business. Now, of course, there’s still pressure to sell albums and tickets but there’s also a comfort in standing on stage and making people happy. For me I feel at ease on stage or in front of a camera. I feel like over the years we’ve honed our skills to what we’ve seen our fans respond positively to. There’s a great contentment that comes with that. 7. What is your worst distraction while on stage, and what is your favourite thing to see in the audience? (MIKE) My worst distraction on stage is Darren! He’s always trying to make me laugh and he loves to poke me of we pass each other. It’s very funny and it’s good to see the fans and audience enjoying the banter too! (LACHIE) if I pull a face or sing a dud-lyric, I tend to get the giggles, and then obviously I see someone in the first three rows who is just as aware as I am that I have f***ed up something, and then they get the giggles, then I get the giggles that they get the giggles and then it’s game over for that song really. Truly one of my favourite sights is looking out into the audience about two-thirds the way through a great show and seeing the whole crowd be as one. It’s an unidentifiable quality and it’s magical when it happens. There is no better feeling that coming off stage at the end of one of these shows knowing that the show was unique, individual and performed 100%. 8. Are there concrete plans to perform in cities outside the UK in the near future? (MIKE) Plans are always fluid and changing. We absolutely love to travel and perform in different countries so fingers crossed we’ll be travelling again soon. 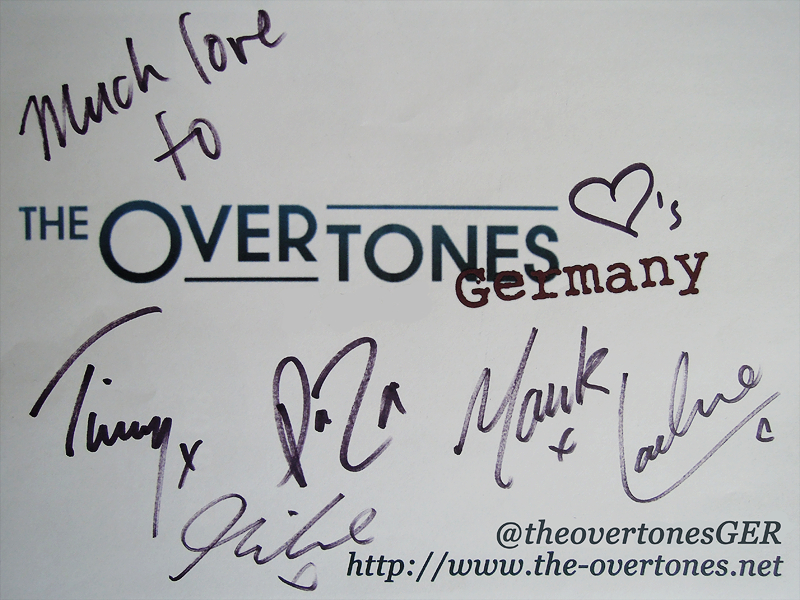 We thank The Overtones and their management for making this interview possible. 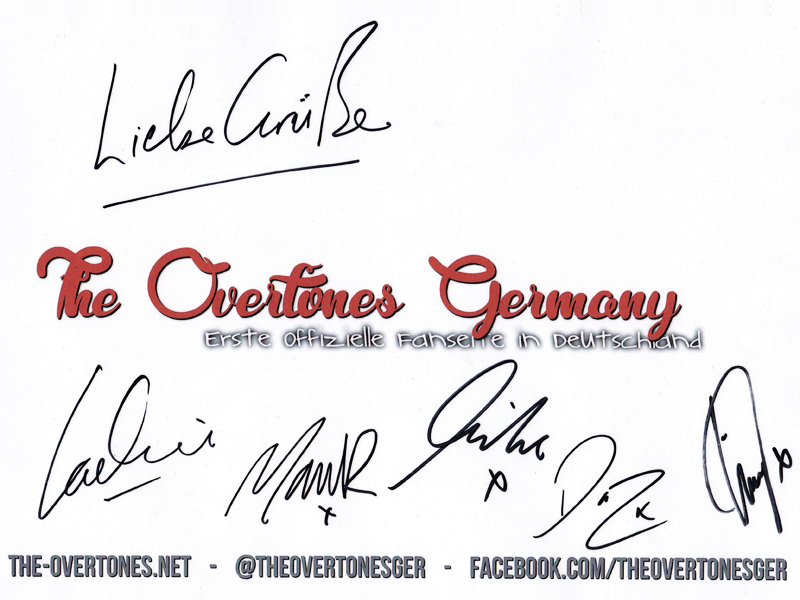 Exklusiv: The Overtones beantworten eure Fragen! Gepostet am 8. Dezember 2015 um 22:30 Uhr • Exklusiv, Fans, Interview • Kommentare deaktiviert für Exklusiv: The Overtones beantworten eure Fragen! 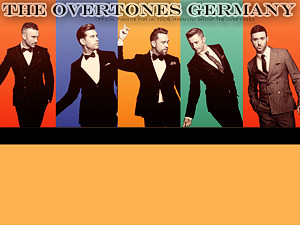 Im August haben wir euch gebeten uns eure Fragen an The Overtones zu schicken. Die Jungs waren sehr beschäftigt mit Studioaufnahmen und Promotion für ihr neues Album “Good Ol’ Fashioned Christmas”, aber wir haben nun endlich die Antworten erhalten! Viel Spaß beim Lesen! Lachie verrät uns sogar ein kleines Geheimnis! Mike: Ok so I’m really not a good cook. I do try but have ruined many a dish. I do cook a good macaroni cheese, though the boys will disagree. 03. Is there an embarrassing nickname your parents or any other family member gave you when you were little? – Sabrina O.
Lachie: Hello Sabrina, I get Lach and Lachs as standard but my grandma used to call me (no way of spelling it so I’ll do it phonetically) Lockadapockadawockada. Lachie: I have, actually. I’ve been doing some filming for a series which is coming out on a major network here in the UK early next year. I’ll let you know very soon and hope you guys enjoy it. Mike: I literally own about three pairs of shoes but I have about 10 suits! Lachie: Guten Tag, Familie Graf, I have too many suits now. I like to keep them because I think ‘I may need that one day’, but the reality is, I don’t need them and they are just taking up space. I think I will take a couple of suitcases to a charity shop and have a bit of a life-clean out. 06. If you had to choose “The Soundtrack of your Life”, what song would perfectly fit and why? – Sabrina O.
Lachie: I love the Louis Armstrong song ‘We Have All The Time In The World’. It puts a big smile on my face every time I hear it and I love it’s sentiment. Mark: It would no doubt be something from the 80s. I’m going with the Dirty Dancing soundtrack!! 07. If you could rule the world what would be the first law to bring in? – Charlotte D.
Timmy: That everyone had to be kind together and smile at strangers. 08. Darren, have you thought about creating your own line of clothes one day since you’re very keen on modeling and like to give fashion tips? – Sabrina O.
Darren: I’d love to have my own fashion label one day. It is something I’m passionate about. I love the way you can express yourself through fashion. 09. Most asked question: Are you going to release a concert dvd someday? Darren: We’d love to release a concert dvd unfortunately there are complications/restrictions involved that are out of our control. Hopefully one day we will be able to do it. We know our fans would love it and we would too. Falls ihr gerne eine Übersetzung der Fragen und Antworten hättet, lasst es uns wissen. 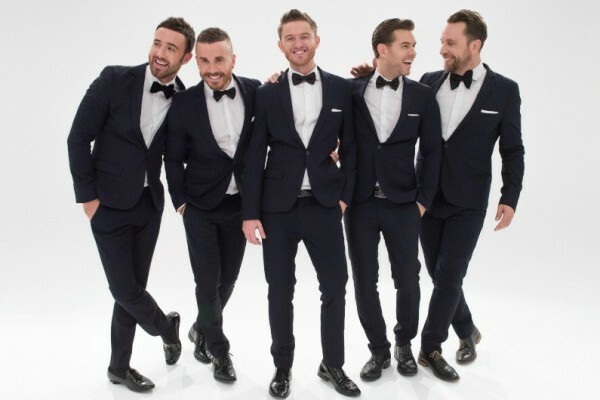 Exclusive Q&A with The Overtones! Gepostet am 8. Dezember 2015 um 22:18 Uhr • Exklusiv, Fans, Interview • Kommentare deaktiviert für Exclusive Q&A with The Overtones! We asked you to send in questions for The Overtones back in August. The boys were very busy in the studio and with promo for their new album “Good Ol’ Fashioned Christmas”, but we finally received their answers! Enjoy! Lachie is even sharing a little secret with you all!